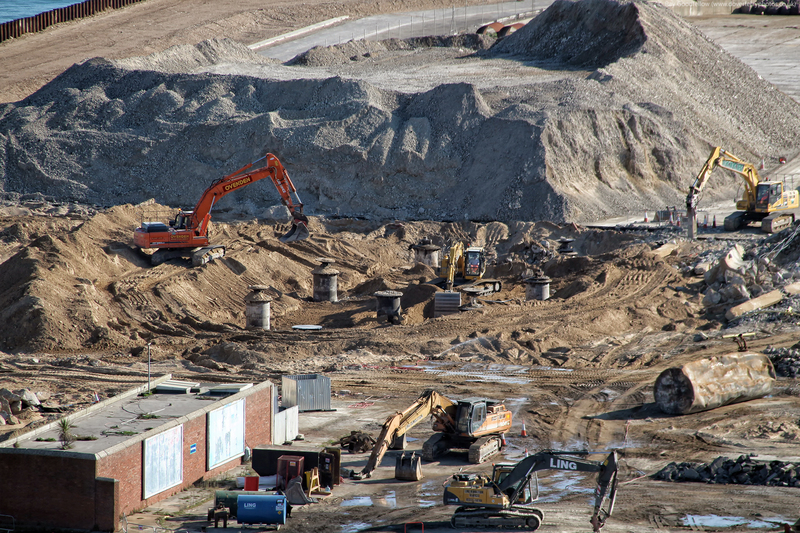 The site of the former hoverport and Prince of Wales pier in Dover showing the scope of the enabling works for the Dover Western Docks Revival (DWDR) project. 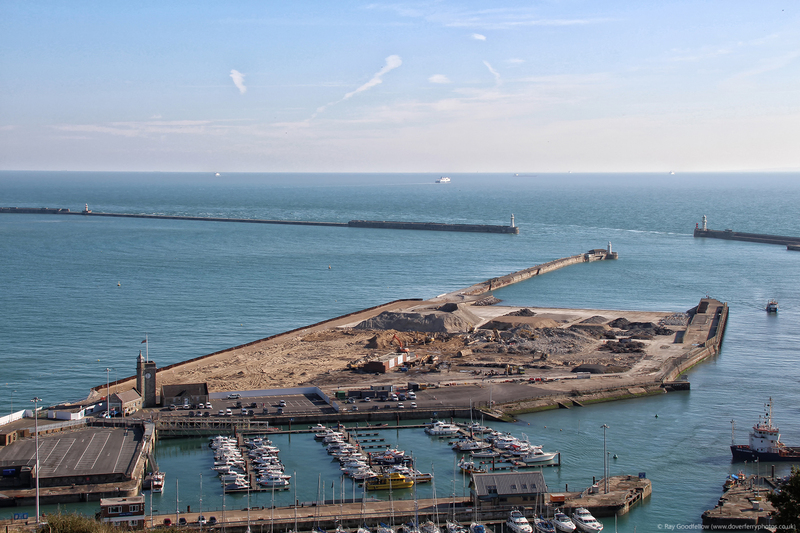 The site of the former hoverport and Prince of Wales pier in Dover showing the scope of the enabling works for the Dover Western Docks Revival (DWDR) project. 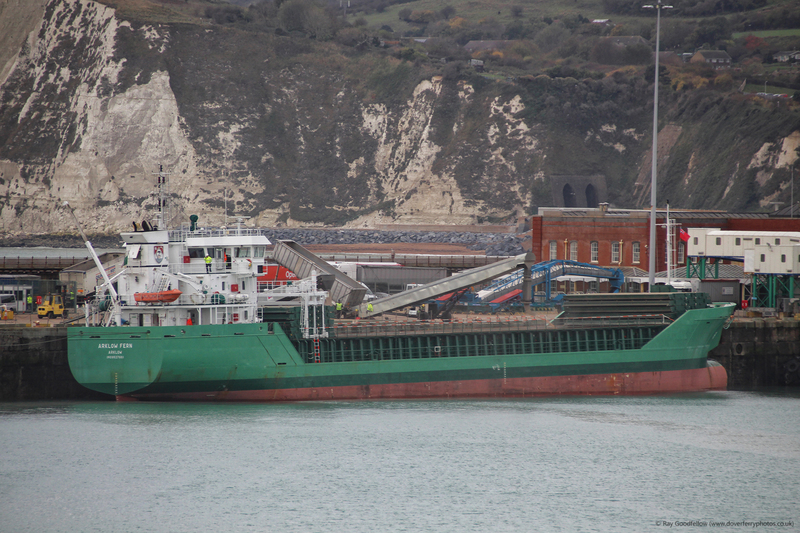 Here the old hydraulic hovercraft lifting jacks are being removed. 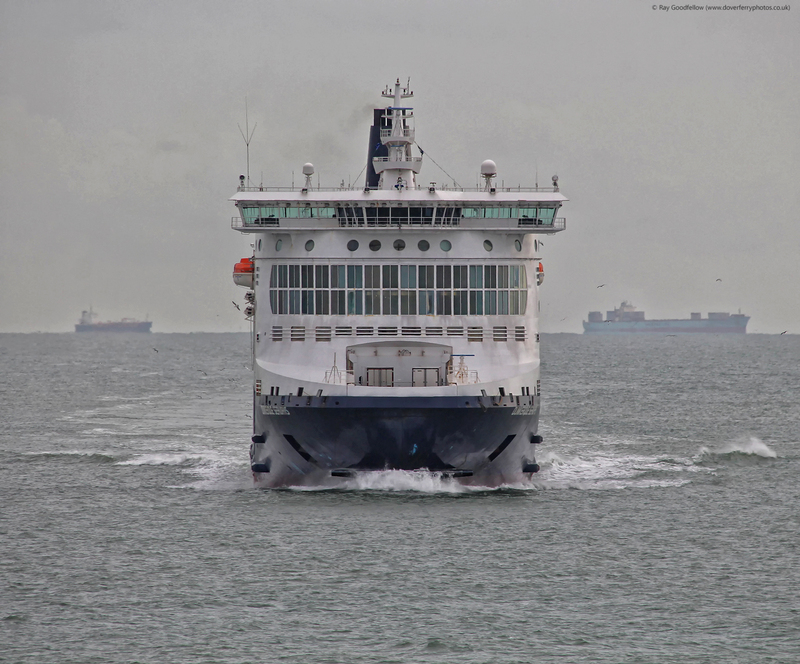 The Delft Seaways on her final approach to the Port of Dover. 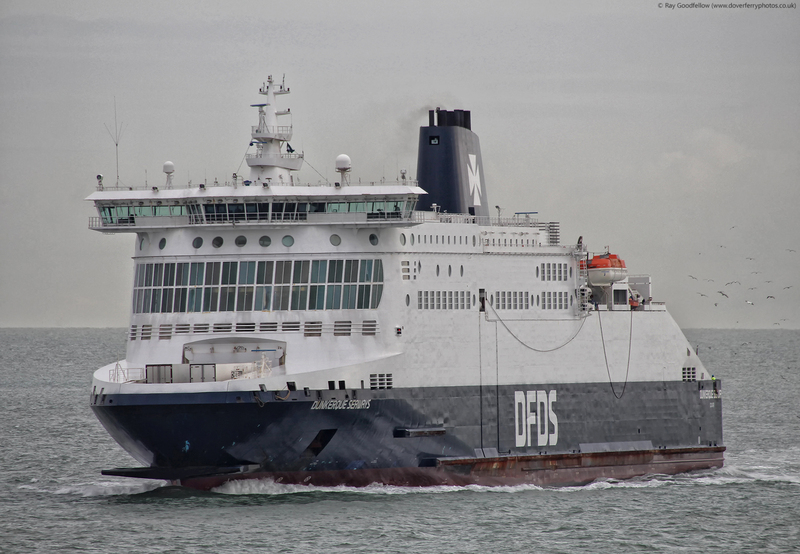 The Delft Seaways approaching her berth in the Port of Dover. 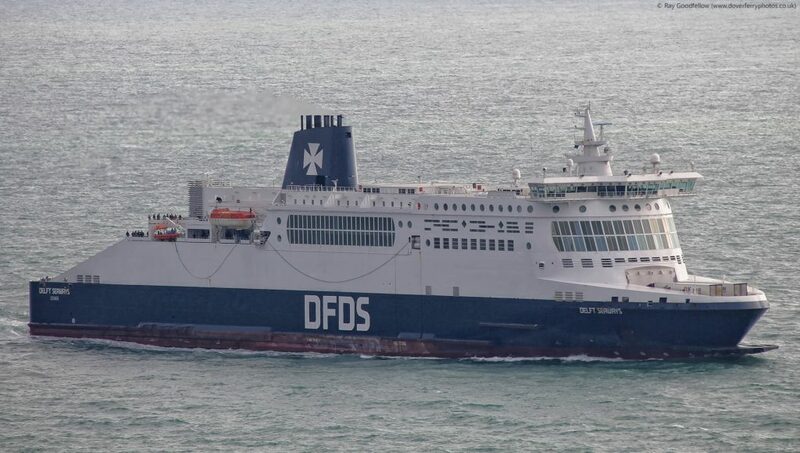 The Dunkerque Seaways seen approaching the Eastern entrance to the Port of Dover. 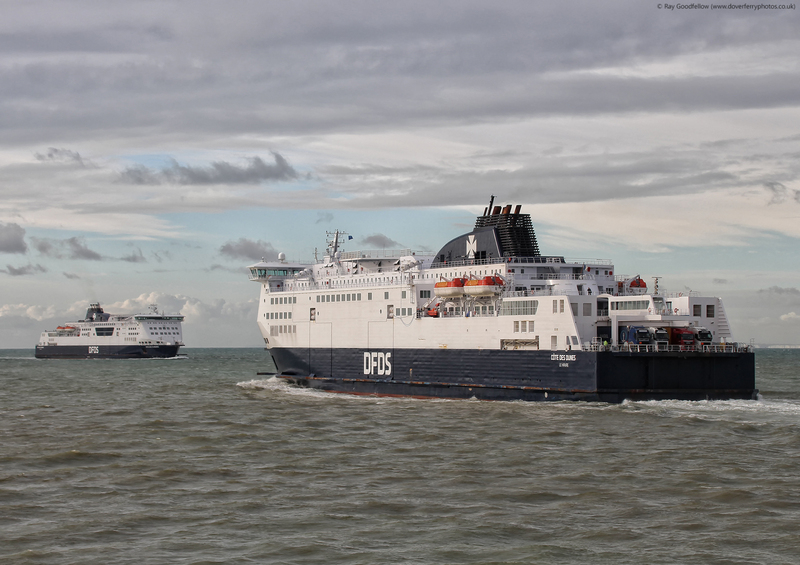 The Pride of Kent seen departing the Western entrance of the Port of Dover. 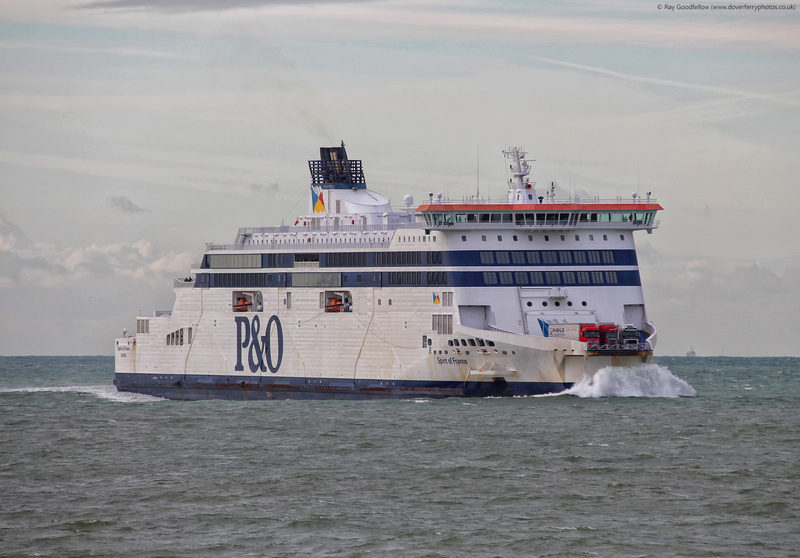 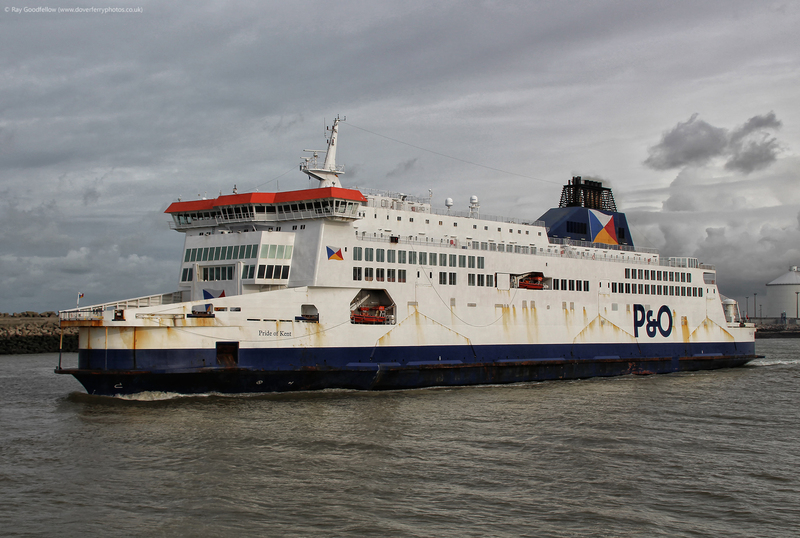 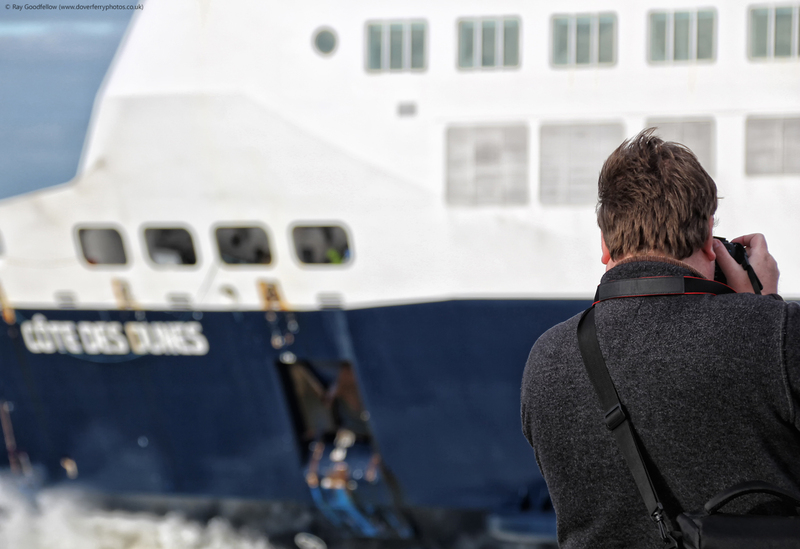 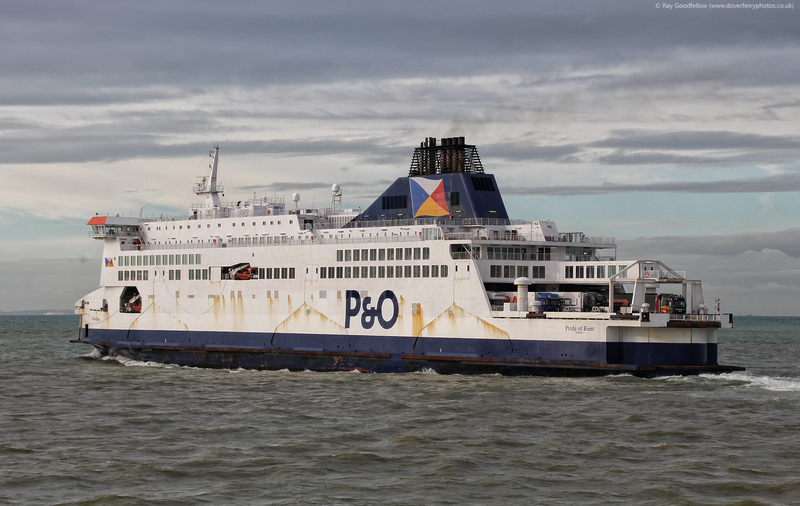 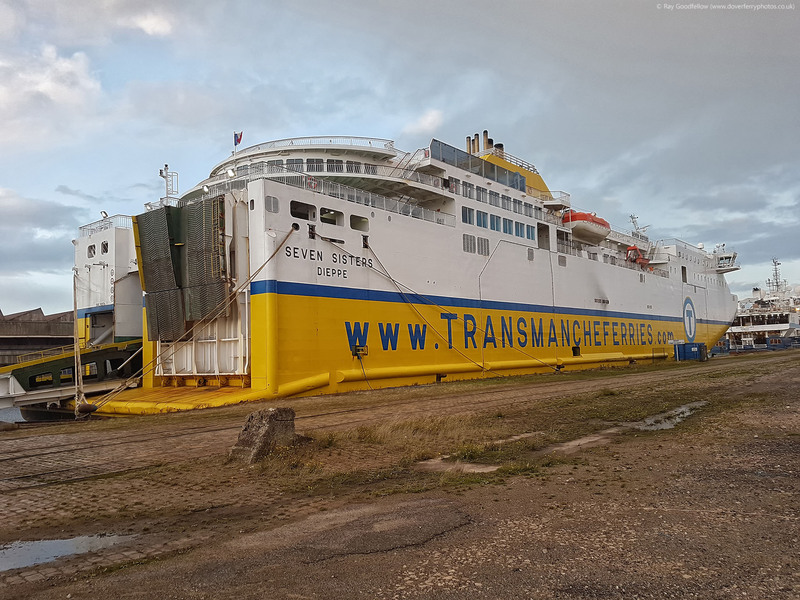 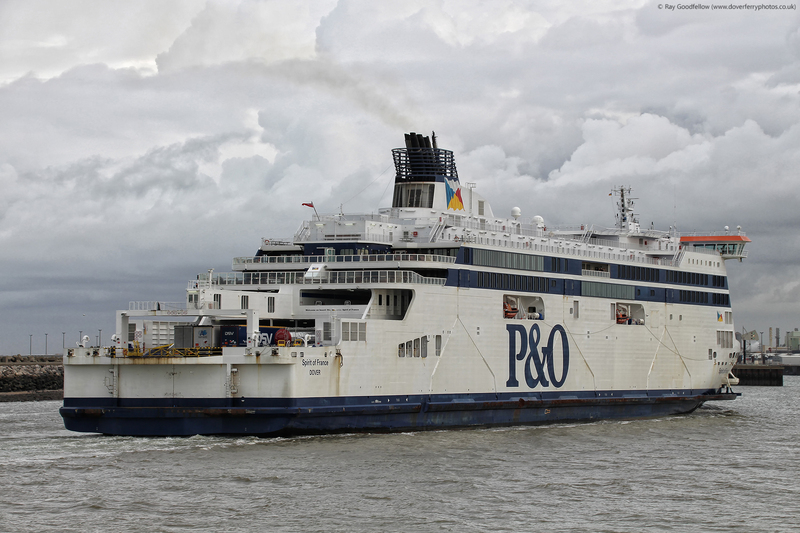 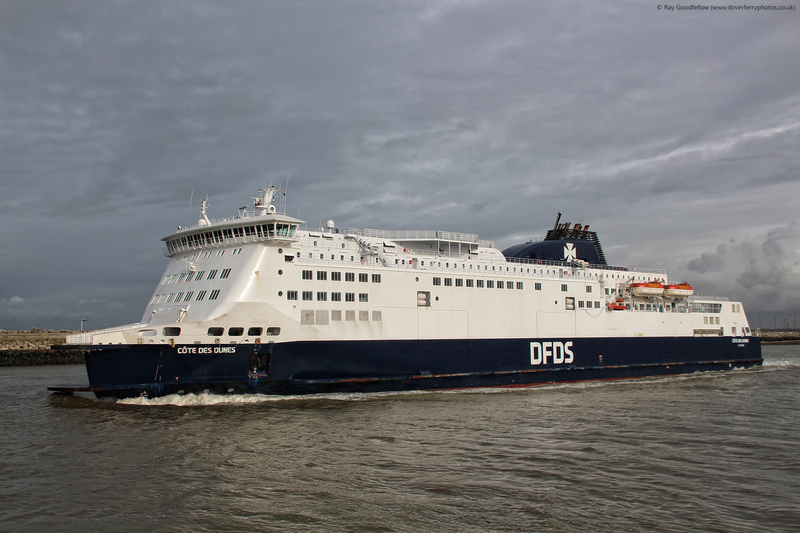 The Spirit of France seen arriving at the Port of Calais. 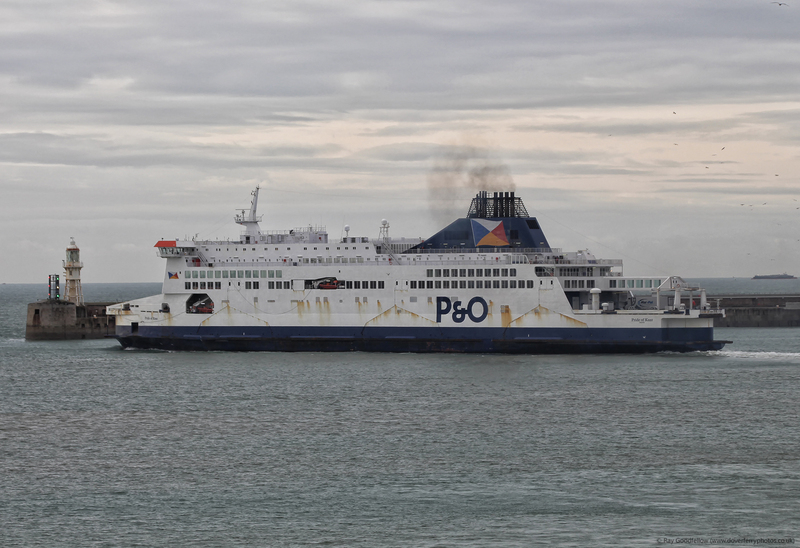 The Pride of Kent departing Calais. 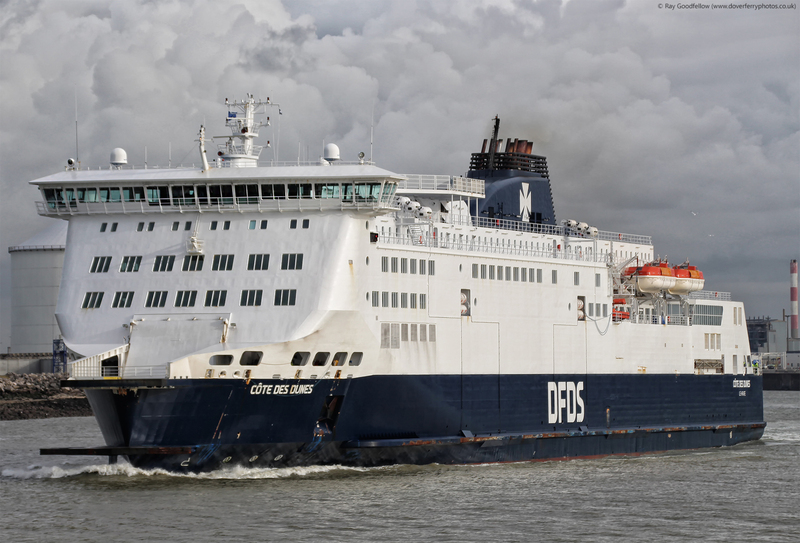 The Côte des Dunes departing Calais. 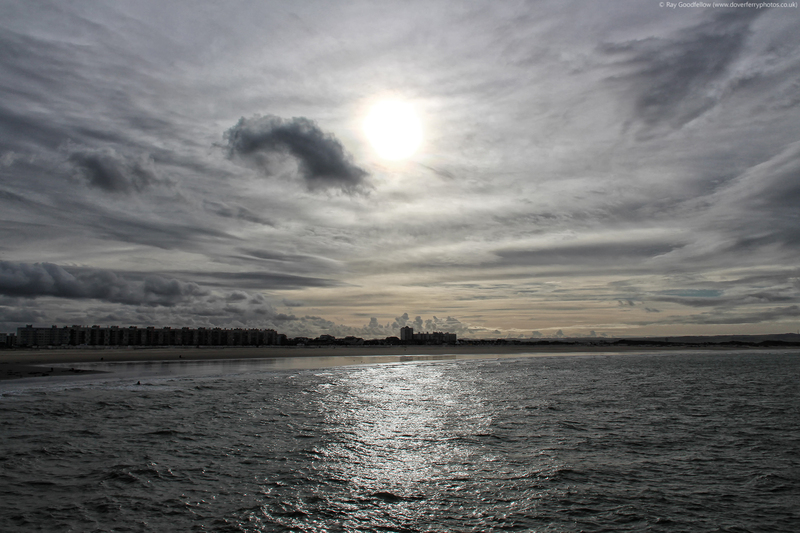 A view of Calais seafront as the rain clouds start to build, soon time to head to the car! 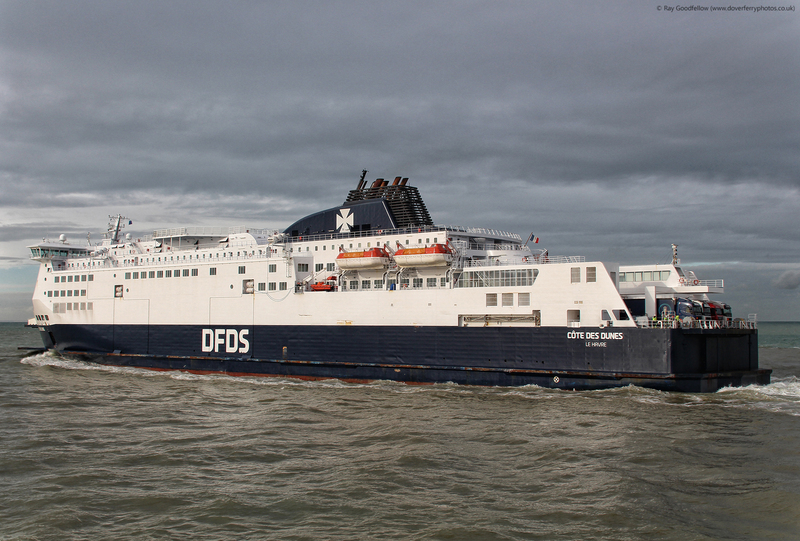 The Côte des Dunes departing Calais as the Côte des Flandres arrives from Dover. 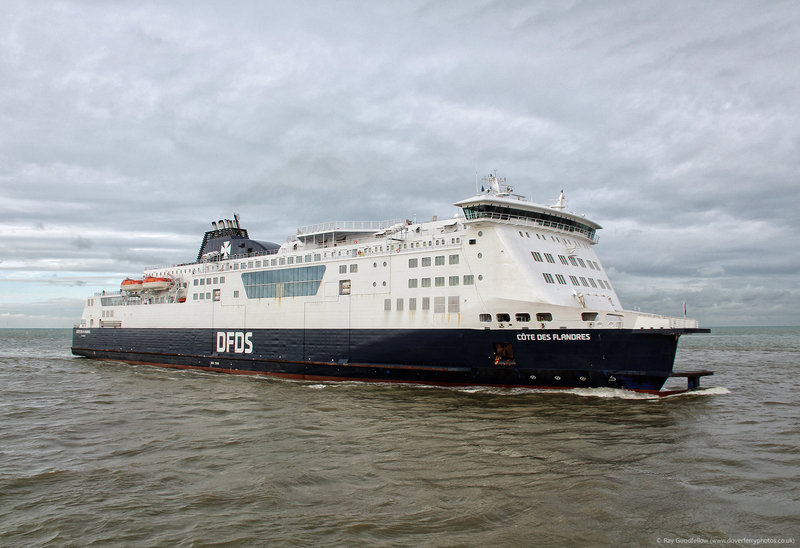 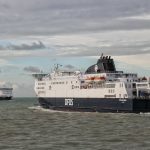 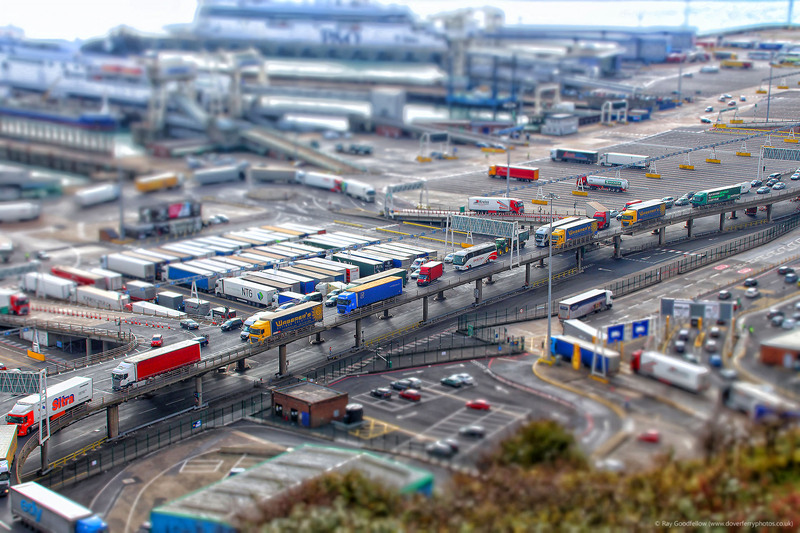 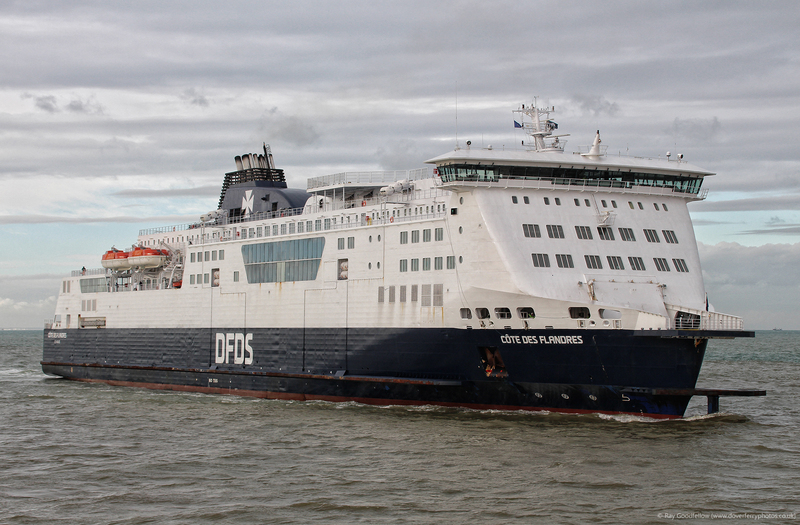 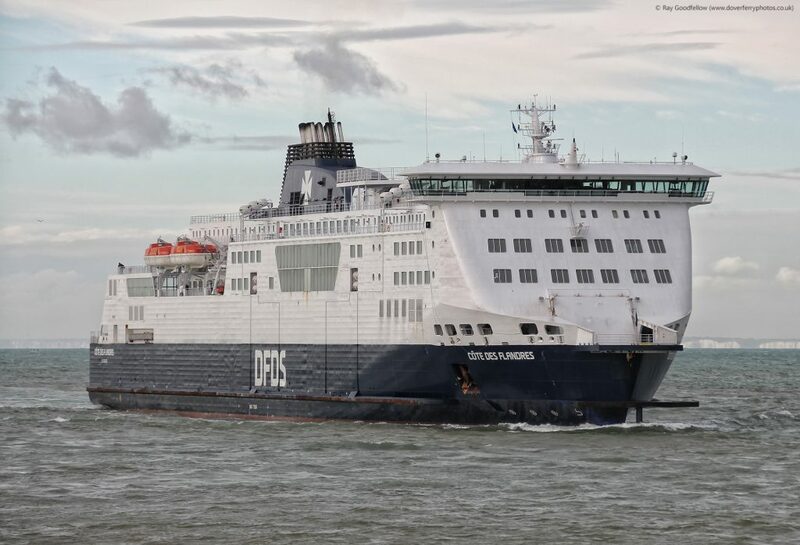 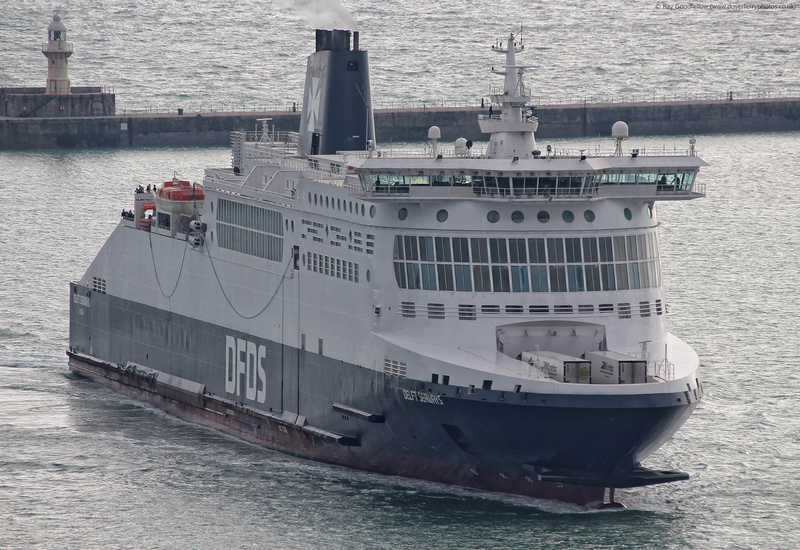 The Côte des Flandres arrives from Dover.